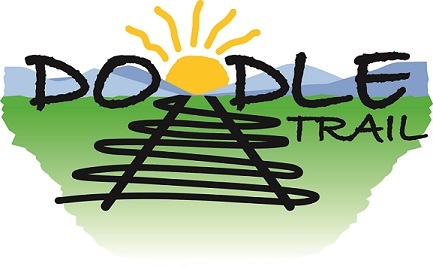 The Doodle Trail, is a 7.5 mile rails-to-trails partnership between the City of Easley and the City of Pickens which opened Memorial Day Weekend 2015. The multi-use trail is open from dawn to dusk for biking, walking, running and rollerblading. Unauthorized mopeds or motorized vehicles are not permitted on the trail. The Doodle line carries a rich history of industry and economy important to both the City of Pickens and the City of Easley. In 1890, the State of South Carolina issued a charter for the construction of a railroad between Easley and Oolenoy Gap, by way of Pickens. After eight years of construction, the 8.5-mile portion of the railway between Easley and Pickens became operational in 1898. Until 2013, the Doodle line hauled a variety of commodities to and from Pickens and Easley, including food products, textiles, and automobile parts. Local residents nicknamed the railroad the “Pickens Doodle” line, because the freight engine could not be turned around and had to run backwards from Easley to Pickens, looking like a doodlebug. The Doodle Trail represents the opportunity to carry on the memory of this historic railroad and preserve the vital connection that was forged between Easley and Pickens over 120 years ago. Listed below are available resources for the Doodle Trail that you may find beneficial. For more information, please call the City of Easley at 864-855-7900. Copyright © Greater Easley Chamber of Commerce. All rights reserved.